A Singapore nightclub has turned to tech in an effort to tackle the problem of car-driving patrons who think they’re OK to get behind the wheel after a night of heavy alcohol intake. In a recent 12-month period in the city state, there were 2141 cases of drunk driving, some of which proved fatal. 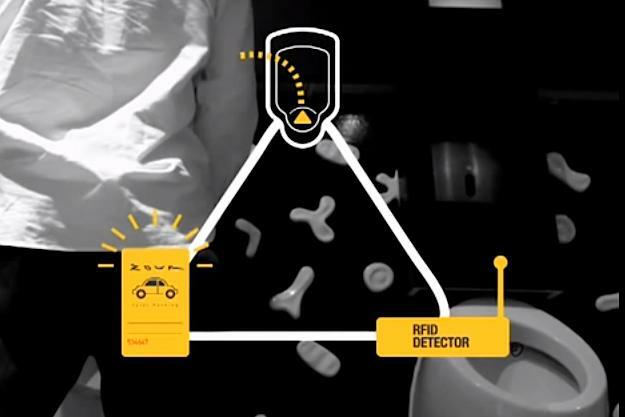 Working with local marketing agency DDB Group, club Zouk came up with the charmingly named Pee Analyzer, a urinal-based system that detects the amount of alcohol in a punter’s pee before issuing a warning if they’re over the legal limit. When a driver arrives at the club, they hand over their keys in exchange for an RFID parking card. Once activated, the card is capable of identifying a driver and recording information regarding the driver’s alcohol level. It does this by way of a urine testing device fitted in the urinal, a device that its maker says will instantly reset to accommodate consecutive readings thereby avoiding any mix-ups with the pee of previous urinal visitors. Of course, there’s a chance the person at the urinal may be too drunk to focus on the words in front of them, or simply too wasted to compute the information, so when they hand in their card at the end of the night in exchange for their keys, an RFID reader at the exit will convey the information from the tagged card to the valet, who’ll once again suggest the car-owning clubber make alternative arrangements for getting home. Zouk’s isn’t the first entertainment venue to utilize the urinal to get inebriated customers to think about how they might get home. 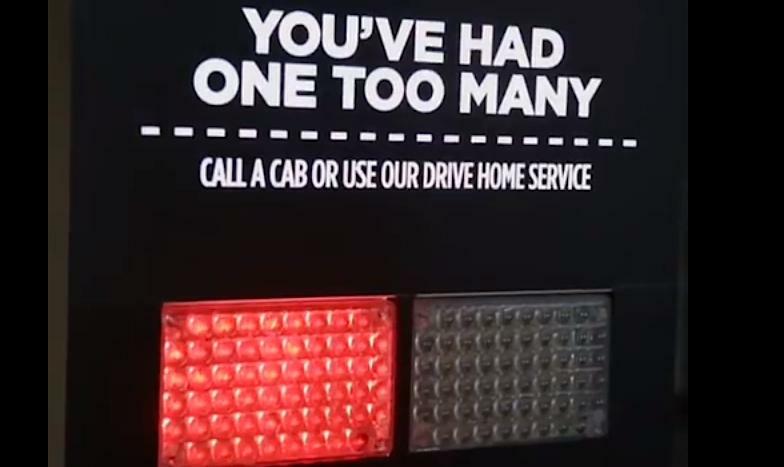 For example, in Michigan last year a number of drinking establishments took a humorous approach to the problem of drink driving by installing talking urinal cakes.